Thinking of creating a new feel in your living space? Do not get overwhelmed with the variety of paints you find at your local hardware store. This article will cover all you need to know about the various types of indoor and outdoor house paints available on the market. The most commonly used are oil-based and water-based. Other types include primers, acrylic, enamel, latex, and many more. Provides a smoother finish with good leveling. Can be wiped on/ cleaned easily. Water-based paints are common, especially for painting walls when a matte look is desired for most living spaces. If intending to use a water-based paint on a surface that had previously been coated with an oil-based paint, be sure to wash and roughen the surfaces with a grit sandpaper. Water-based paint will not directly stick onto an oil-based paint. This will also help make it harder for the new coat to peel. The paint has low levels of toxic emissions. Can easily be removed using soap and water. Since it is elastic, it is resistant to cracking. Can easily be found as it is common. It is most common to find paints labeled as either exterior or interior. There is no mistake in this because both tend to serve better in either the inside or outside environments. Most interior paints tend to be water-based, while the exterior ones to be oil-based because of the chance of exposure to adverse weather conditions. This will extend the service life of the paint. 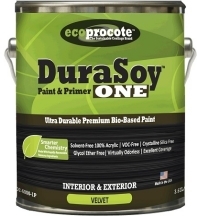 A primer is not a paint, but is essential for many painting projects. It works in the same way as paint and can be applied in many coats (but can never serve as a top coat or finishing coat for any paint job). They are also found as either water-based or oil-based. The type of primer you use will depend on the kind of paint you wish to use. An oil-based primer will require oil-based paint and vice versa.When using a primer, it is essential to ensure the surface it is being used on is clean and has never been painted before. Using a primer on a new paint-free surface will guarantee the best results. This is because the application of a primer before actual paint application allows the primer to serve as an adhesive for the paint to stick to. This will help achieve durability and longevity. However, re-painting a paint job that was done previously will not necessarily require the use of a primer. While primers are an added cost, they are cheaper than actual paint. And a paint job that lasts longer because of primer means you’ll save money in the long run. Enamel is used to mostly refer to oil-based paint because of their similar hardness properties. However, it is not unlikely to find enamel paints that are water-based paint. When going to shop for paint, any that are labeled ‘enamel’ will be used to refer to paint with incredible durability. This kind of paint dries into a hard and tough coat. Enamel paints can be found in either gloss or semi-gloss textures. Enamel paints are commonly used on doors, floors, and window trims, among other surfaces that may be exposed to harsh conditions and abuse. They are also able to withstand high temperatures. Enamel paint does have a tendency to discolor over time. Enamel paint also comes in acrylic varieties. Acrylic paint will give a desired hard coat. However, the disadvantage is the fact that the shinier the paint, the more imperfections are visible. Latex paint is another commonly used term for water-based paints. This type of paint does not actually contain latex, but uses vinyl or acrylic resins instead, so it is not a risk to those people with latex allergies. Specialty paints are paints which are enhanced with additives. Some of these additives include fire retardants, anti-mildew, anti-mold properties, and anti-condensation. These kind of paints are commonly used in kitchen spaces and bathroom spaces due to moisture. Paint finishes also come in various options for interior paints, while exterior paints only have three options: satin, gloss or flat. Now that you have a vivid idea of what each paint texture offers, we are sure you will make a good decision selecting the right choice of paint depending on the surface types and your needs.